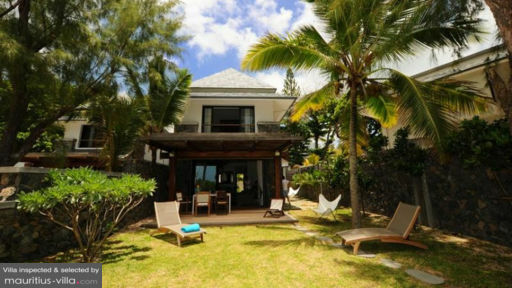 Located in the south of Mauritius, Villa La Piroga is a four bedroom haven where you can wake up every morning, dip your toes into the ocean, and breathe in the fresh air. 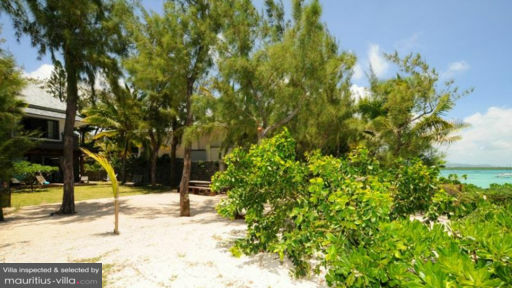 Coupled with friendly staff, homey interiors, and its proximity to the sea, you are sure to be refreshed and relaxed. Here at Villa La Piroga, you and your entire family and friends can enjoy each other’s company and what life on a tropical island has to offer. After a fun day spent out in the ocean, here at Villa La Piroga you can come home to four comfortable guest bedrooms. Two of which have two single beds, while one is equipped with a king size bed, and the other a queen size bed. Fall asleep in great comfort as you are lulled by each room’s beach-like atmosphere. Each room also has an en suite bathroom where you can bathe in privacy. Here at Villa La Piroga, every morning you can eat breakfast on a beautiful wooden table, feel the sand between your toes and the sea breeze wafting against your face. You will not be looking for a pool when you have the clear blue ocean only a few steps away from you. You will feel like you are on your own private island. In the afternoons, when you’ve had your morning swim, you can lay back on one of the recliners on the wooden patio as you watch the wind ruffle through the leaves of the coconut and palm trees in the villa’s backyard. In the evenings, you can bond with friends as you grill some seafood under the twinkling night sky. Opening up onto the patio is Villa La Piroga’s living room, a bright space with large sliding doors that let the fresh air in When the afternoons get too hot, the large comfortable sofas here will be particularly enticing. In the evenings, after dinner, you and your family can gather in this area for some tea or to watch a movie. Right next to the living area is the villa’s dining area where there is a round wooden table that comfortably seats five. In the farthest side of the living area is the villa’s fully equipped kitchen with wooden finishings that give it a distinct charm that will entice you to create a variety of meals. While the ocean is gorgeous and the interiors are relaxing and comforting, what will make your stay at Villa La Piroga even more special is the friendly and accommodating staff. While you can hire a chef, the staff will also be happy to assist with the cooking. You will surely be able to enjoy your stay here even more because of their service. The villa also has a variety of other amenities that will make your stay here even more comfortable, such as: WIFI access, 24 hour security, and satellite TV. 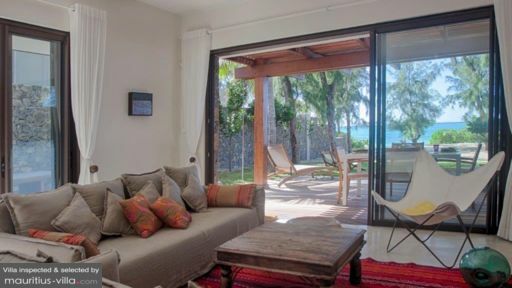 Located near Coastal Road in the south side of Mauritius, Villa La Piroga is perfect for those who want to enjoy having easy access to the ocean and a beach.Blue Bay Beach, located not too far away from the villa, is popular for its crystal blue waters and corals. Guests can go snorkelling here. It gets quite crowded on the weekends. If you ever want to eat out, there are at least two restaurants along coastal road: Blue Bamboo and Le Bougainville. Many thanks to Ashawni for her smile, her kindness and her talents in the kitchen !!! Beautiful house, a lovely place! We had so many good memories of youth… Thank you for offering us this joy in a wonderful place. CONGRATULATIONS ! Thank you for this view and most importantly thank you to Ashawni for her kindness ! Perfect week ! Breathtaking view over the lagoon, welcoming and devoted staff… we come back next year ! Fantastic time, our favourite place on the whole island. Felt like home and we were so sad to leave. Ashawni’s cooking was amazing ! Brilliant ! Perfect week in a very nice house ! Thank you to Ashawni for her kindness ! We’ll come back next year. A perfect beach house. A great cook who is always available and smiling. Don’t change anything ! Thank you very much.